Cloud Gaming is very much the story at GDC this week. Microsoft and Sony have both dropped hints at their respective cloud gaming ambitions, but the 800-pound gorilla in the room was an expected announcement from Google sure to make a big splash. Today that announcement was made as Google introduced Stadia, a Cloud Gaming service that aims to make consoles irrelevant at a stroke. Contrary to what might be your expectations, cloud gaming is actually at a mature stage technologically. It shot to prominence in 2009 with the ill-fated debut of OnLive, a game streaming service that made games available for rental and demos using a custom-made console and video streaming technology. Proven services like GeForce Now and Shadow today offer high performance gaming through regional servers even though your local hardware may be a metaphorical potato. Comparable services from Microsoft and Sony are likely to do the same on both current and new low-cost/low-spec variants of their respective consoles. All hinge on one key concept: game rendering can be done in 'the cloud' by powerful and potentially bespoke hardware. All the user needs is some way to transmit inputs from a game controller (gamepad/joystick/keyboard etc.) to the remote server, and receive a video stream back. Both of which need to be performed at low latency. Formerly known as Project Stream, Google's Stadia philosophy is similar, but even more hardware agnostic. Rather than be available through custom hardware or via specially developed software, Stadia's video stream is natively supported by Google Chrome on any device that supports Chrome. Smart TVs, Android smartphones, PCs, tablets; they can all act as a display for your Stadia cloud gaming session. Controller input is a little more tricky, but not insurmountable as it turns out. 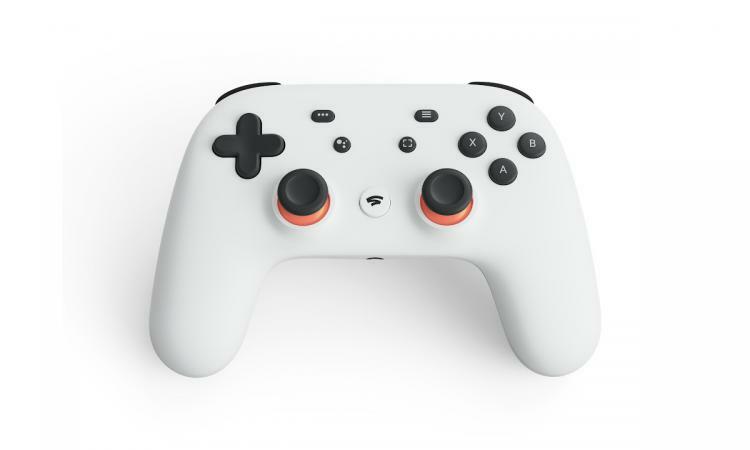 PCs and Smartphones already have native control options, but as a more flexible solution Google have introduced the Stadia Controller. This purpose-built device communicates directly with Stadia servers through the internet via your local wireless LAN without the need for additional hardware. Using a process that sounds an awful lot like ChromeCast-ing to other screens, you'll be able to seamlessly transition from one screen to another and never lose your spot in the game. During their GDC demo Google unveiled one of their initial partners on this project: id Software, developers of DOOM. As a particularly demanding first-person shooter, DOOM represents an excellent minimum standard requirement for the platform to reach - fast-paced 4K 60Hz gameplay at an exceptionally low latency. Maintaining these standards in a way that's scalable and cost-effective will be crucial for the platform to see any sort of meaningful success. 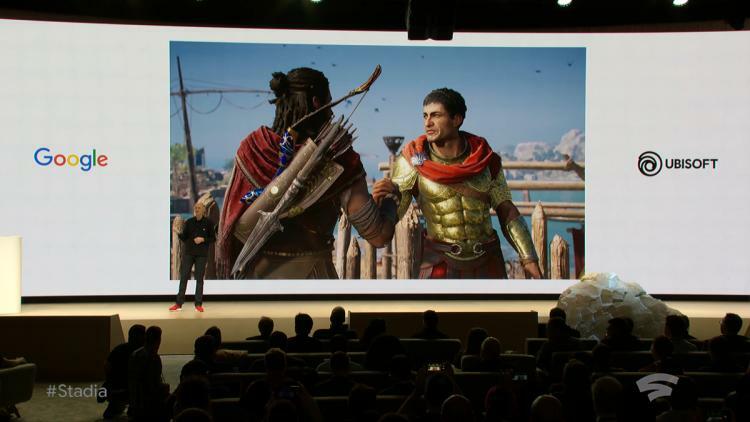 Google's first public demo of Project Stream was of Ubisoft's Assassins Creed Odyssey, running at 1080p 60Hz. Either title offers different challenges, and also indicate that both id Software and Ubisoft are on board as preliminary launch partners. While the hardware is considered semi-custom, an analogue GPU in consumer markets is the AMD Radeon Vega56. The CPU is likely to be a server-class 'many-core' design from either AMD or Intel and will clearly differ from the approach of current-gen gaming consoles. Taken as a whole, the specifications are a cut above current generation console hardware and at least on par with most consumer gaming PCs. Linux is Google's operating system of choice for Stadia, likely chosen as much for its lack of ties to Microsoft as its relative lack of processing overheads (i.e. 'feature bloat'). It makes sense therefore that Google approached the makers of DOOM - it is one of the few triple-A titles known to have a Linux build using the Vulkan API. By the same token, it means that the selection of games seen on Stadia may well be very small at first. Google claim that Stadia will be playable at up to 4K 60Hz with HDR, but the quality of your internet and the video encoding they use will in large part determine your experience. ISP data caps could also bury the platform, as well as cloud gaming as a whole. Showcases such as those at GDC are carefully orchestrated to present the technology in its best possible light but can often collapse when taken into the real world. In addition to gameplay, Google are laying out their stall for Stadia to be a fully integrated platform for gaming and streaming with integration into Youtube and other forms of social media. Indeed Youtube is key to their plans by offering not only streaming services but powerful community features and a prime discovery tool for new games. By hooking key game features such as matchmaking and lobbies to Youtube communities it makes community engagement much smoother and more natural. Google used an example of a queue system built-in to Youtube, allowing viewers to play against the streamer without clumsy set-up on both ends; clearly though there's plenty of untapped potential here. As for discovery, imagine a situation where you're watching a trailer on Youtube below which there is a 'Play the game button'. Press it, and within seconds you can be playing the game, no lengthy downloads or setup required. Consider that on all those games whose trailer you've been intrigued by, seen a first impressions or review of, or watched on stream. It's powerful motivation for developers to bring their game to Stadia, in theory. While Stadia may well be one of the most convenient and widely-supported gaming platforms conceived, that will be only one factor in its future success. It needs games primarily, potentially exclusives but at the very least major titles. DOOM Eternal, the next chapter in id Software's DOOM franchise, is already confirmed; it's no exaggeration to say that dozens if not hundreds more big names need to be there to draw players away from the competition. While it's too early to tell if Stadia will make an impact or be consigned to a growing pile of failed Google projects. However their competition would be fools to not keep a very close eye on this tech. giant's latest innovation.